When it comes to selecting the best company to work for, candidates are faced with a gargantuan task. Should they look for the best compensation packages, or the best work-life balance – or even the most impressive benefits plans? A new report from Indeed has uncovered the best places to work in Ontario, according to employee reviews. The report took into consideration work-life balance, salary and benefits, job security and advancement, management and culture, all of which are key fundamentals in employee satisfaction. After trawling through over 600,000 reviews, Indeed uncovered the top 10 companies to work for in the province. 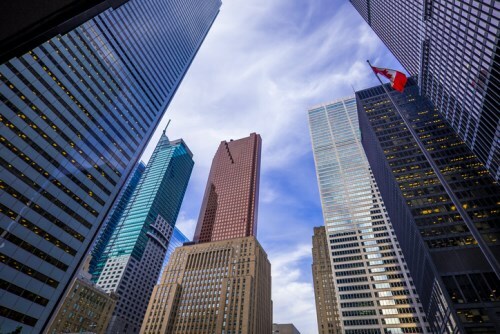 Ontario has long now been known for it’s renewed focus on top tech talent – showcased by Microsoft’s fifth slot in the top ten places above. Speaking on an earlier tech talent report, Jodi Kasten, managing director at Indeed Canada, commented: As every industry is being disrupted by digital innovation, virtually every company is becoming a technology company and seeking tech talent. Indeed is a platinum partner at HRD Canada’s upcoming HR Tech Summit in Toronto, on June 26th and 27th. Take a look at the exciting agenda and secure your place here. Can employees refuse dangerous work? Can you provide working notice of termination to employee on disability leave?